Boomer Social Network and John Edwards are hosting yet another escorted Amtrak train vacation to Aspen and Glenwood Springs. Thursday-Sunday September 22-25, 2016. Prices will vary according to always changing Amtrak rates and motel room rates for either single or double occupancy. Pricing is described below. Enjoy the Fall Colors without driving. This is John's third escorted trip here. He has working relationships with the Silver Spruce Motel and Glenwood Caverns. He knows the Amtrak, bus and taxi system, hot springs policies. gondola fees and bike rentals and of course, knows live music and dancing. Join other adult singles to also visit Aspen (economically). Soak in both the old and the new hot springs pools. 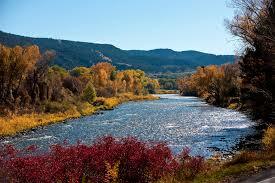 Glenwood Caverns park, zip lines, hiking and bike rides along the river and a mountaintop dance with a live band. New hot springs pools. Pick your heat. Pick your similar, single, soaking friends. Now there are two Glenwood hot springs to try. The new Iron Mountain Springs has 16 pools along the Colorado River. "Adult soaking away from children." Both are within walking distance of our favorite motel. 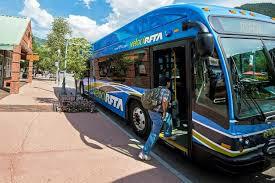 Hourly bus into Aspen is free for seniors. Gondola rides are also discounted. We know other deals, restaurants and bike rentals. View the Colorado River where there are no roads. Get out of town for a four day, adult singles mini-vacation by AMTRAK train from Denver Union Station to Glenwood Springs with a side trip to Aspen. Relax as you ride through the remote and rugged Colorado River canyons that are accessible only by train. Look up into the cliffs of Glenwood Canyon. No worry about road conditions or I-70 traffic jams. Watch the Scenery....Not the Road! Enjoy the historic Glenwood Hot Springs Pool, the world's largest hot springs pool, day or night in any weather. 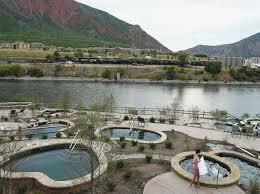 Plus visit the new Iron Mountain Hot Springs with 16 pools overlooking the Colorado River. 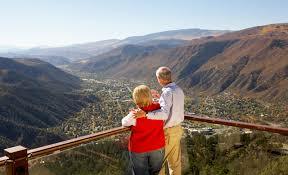 Experience the Glenwood Caverns with zip lines and amusement rides . 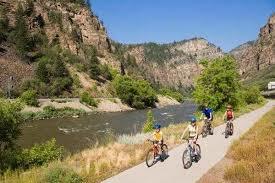 Hike along the Colorado River or take bicycles weather permitting. Take the luxury Aspen Shuttle right into downtown Aspen. 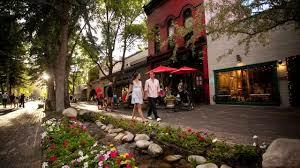 Stroll through Aspen and visit the new Aspen Art Museum and the nearby John Denver Memorial Park. Take a bus up to Maroon Bells or Snowmass Village. 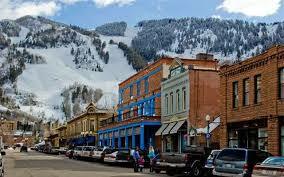 Visit Aspen without the long drive and outrageous overnight lodging prices. Hang around Aspen as long as you want since the shuttle returns to Glenwood Springs every hour. We are staying at the Silver Spruce Motel (my favorite reasonable priced hotel) for in a nice room with two beds or a single. Walk over the bridge and into downtown Glenwood Springs for dinner at Juicy Lucy's (get there early) and visit the popular Doc Holliday's Cowboy Bar. Saturday night we will take the Glenwood Caverns gondola up for a mountain top concert and dance. Return to Denver Sunday afternoon September 25 arriving back at Union Station around 6:30 p.m. Have dinner at the Union Station restaurants. Take the Light Rail back to where you parked your car. THERE IS NO PARKING AT OR NEAR UNION STATION! Park at a Light Rail station before 6:30 a.m Thursday for $2 a day The Light Rail drops you at Union Station. We are just inside the entrance doors. The four-day, mini-vacation price varies based on your Amtrak rate and your room rate, occupancy and number of nights. Other activities, hot springs pools, meals and shuttles are extra but many are discounted this weekend. RESERVE YOUR SCARCE AMTRAK SPACE NOW. IT CAN BE CANCELLED AT NO CHARGE LATER. 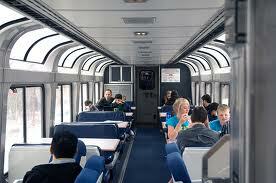 To have instructions e-mailed on how to make your Amtrak and hotel reservations call John Edwards at 303 699 4653. 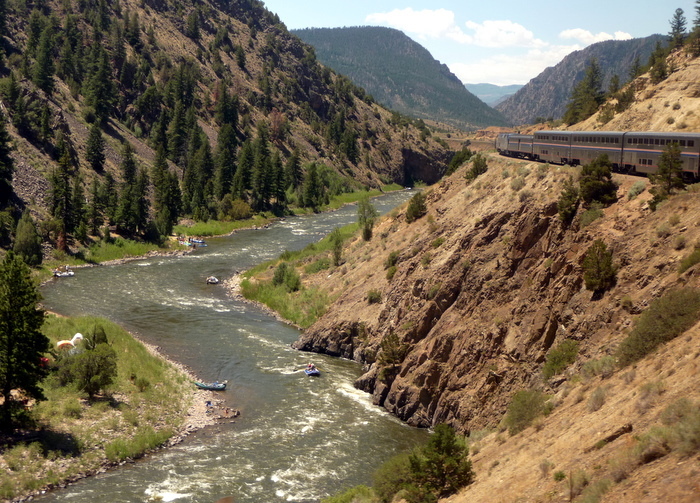 Thank you for your interest in joining us for the trip to Glenwood Springs on Amtrak Train. Of course, the Amtrak booking is the most confusing. Talking to an agent is not rewarding. * From the menu. 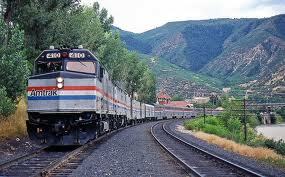 Go to G. Then Glenwood Springs CO.
(Don't worry about times, there is only one train each way. * If you are under 62, enter 1 under Adult. If over 62, enter 0 under Adult, then 1 in Senior. The only other discount is AAA and you need the card number. * See the price under "Value" and highlight the button and "Add to Cart"
* Now see the price under Return and click the button and "Add to Cart" Your total price will come up. It varies daily. * Disregard the information on rental cars. Click the "continue" button on right. * Enter as a Guest and click for the e-mail ticket. * Now enter your passenger information and credit card information. Amtrak will e-mail you a ticket once you do it right. * Meet us at Union Station at 7 A.M. John will help you check in and arrange with the conductor for group seating. Catch the Light Rail from a station with available parkingby 6:30. Park for $2 a day. Spots fill up fast after 6:30. 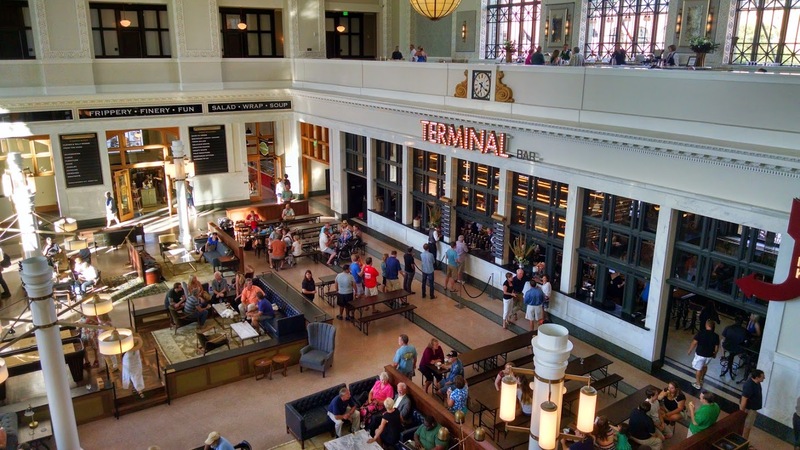 A breakfast deli will be open in Union Station. Bring your own food in a small soft cooler for the five hour train trip. LODGING---SILVER SPRUCE MOTEL (Located across the Colorado River and two blocks down. My favorite economical motel in town. Use others if you want. * Look at the "Rooms" pictured. Most are taking the Deluxe with two beds and sharing a room. 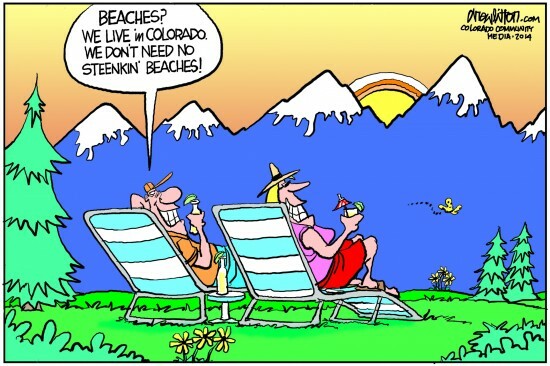 * Call 970-945-5458 (Audrey) Ask for the "Boomer Social Rate" for September 22-25. * She will make your reservation and take the credit card number. * Be aware of the motel's cancellation policy. You can cancel. $30 PER PERSON FOR JOHN'S PLANNING, ORGANIZATION, GROUP ACTIVITIES, DISCOUNTS & HOSTING --PAY JOHN AT UNION STATION. CASH OR CHECK. E-mail John at boomersocial.net if you need additional information.